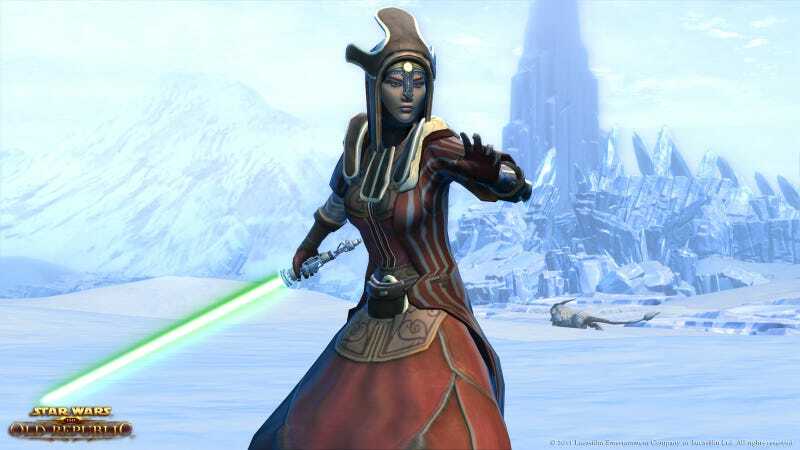 BioWare's galactic MMO Star Wars: The Old Republic normally costs money to play, but not this weekend. And by "weekend" I actually mean Thursday through Monday, because as EA rightly assumes, if you can't afford a subscription, you might not be doing much on Friday anyways. Beginning Thursday, March 15 at 12:01AM CT and running until Monday, March 19 at 2:00AM CT, anyone who downloads the free client will be able to kill pre-determined numbers of small animals in exchange for items of numerical value to their heart's content, no money changing hands. If you've got questions, there's a ton of answers at the offer's FAQ.